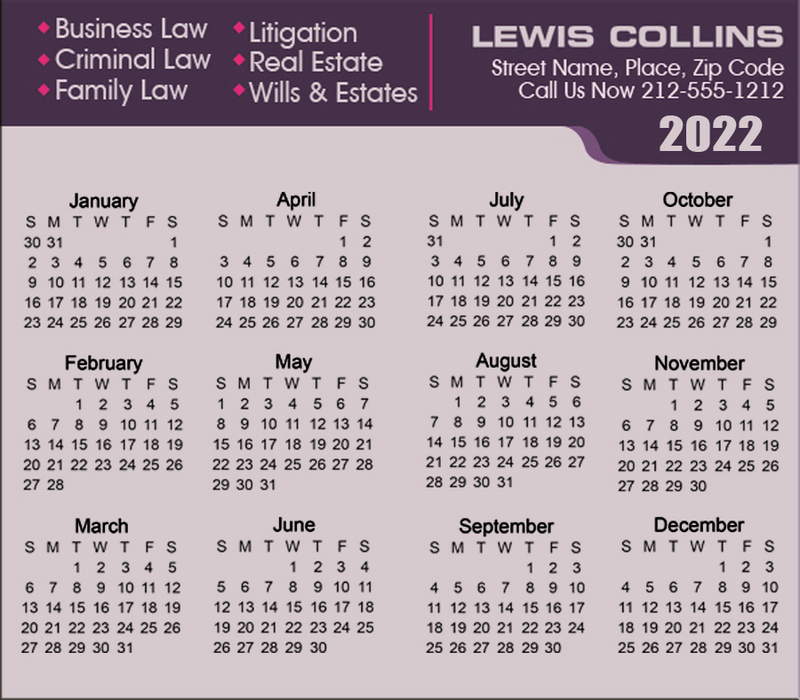 Play on the top of minds with these personalized 3.5 x4 inches legal calendar square corner magnets – 20 MIL! Sure to last longer, these magnets help to attract your clients and draw bottom line. Being produced in high quality glossy paper, these magnets lend the impact to business messages imprinted against them. These calendar magnets make perfect gifting choice during tradeshows, social events and many more. It suits law firms, attorney offices, human rights lawyers and others trying to establish their mantle in the niche. 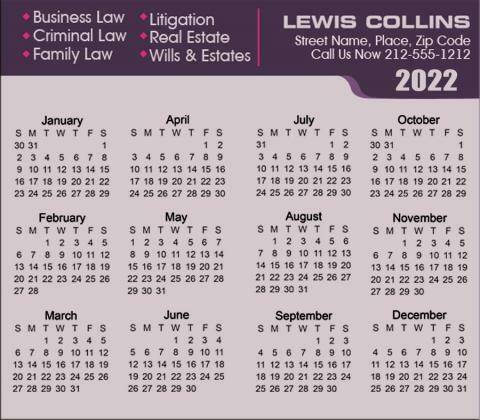 Request a quote to know discounts that you can truly avail by bulk ordering these custom 3.5 x 4 inches legal calendar square corner magnets – 20 MIL.